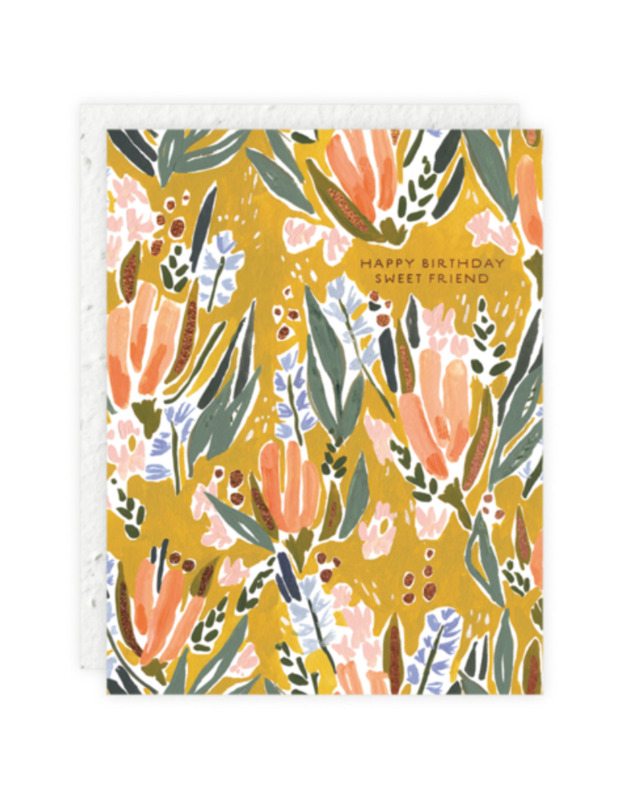 This 4.25” by 5.5” Birthday card is embellished with gold foil detailing on painted design. 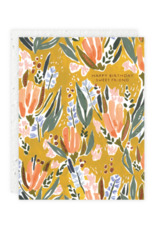 The cover features the message, "Happy Birthday Sweet Friend," and the interior is blank. The envelope is made of 100% Plantable Seed Paper and contains a mixture of non-invasive wildflower seeds.